Distillation is a process used to separate liquids in a mixture based on their relative boiling points. It involves heating a mixture and collecting the vapors or gas that rise from it. Since distillation does not involve the creation or modification of the compounds within the mixture, and it is based on vapor point and volatility, which are physical properties. Distillation is a physical process rather than a chemical one. Steam distillation is a special type of distillation used in temperature-sensitive applications. Simple distillation is a process used to separate two liquids with boiling points that differ by a fair amount 77 F (25 C or more) or to separate a liquid from a nonvolatile compound with higher viscosity. The mixture is heated to the boiling point of the more volatile compound, which is the lower of the two boiling points. The resulting vapor is collected from the heating chamber and immediately condensed back into liquid form. This can result in an impure distillate. Simple distillation is used in a variety of applications. 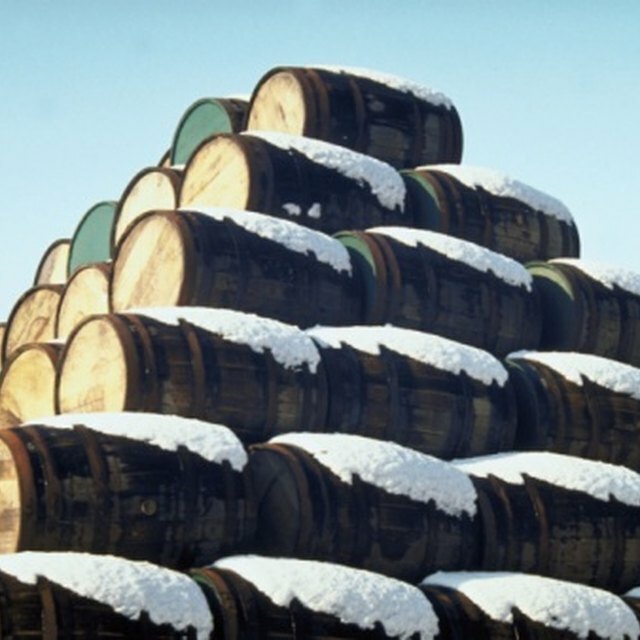 Most commonly, simple distillation is used in the production of alcoholic beverages such as vodka and whiskey. 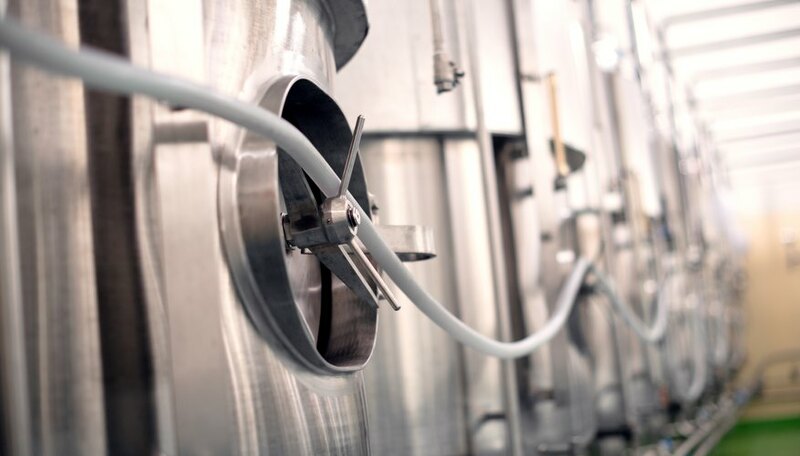 The simple distillation process relies on the difference in boiling point between ethanol (alcohol) and the mixture or 'mash' used for fermentation and the initial synthesis of alcohol. Simple distillation is also used in desalinization processes, which create freshwater from saltwater. Steam distillation is used to distill compounds that are sensitive to heat. Some organic compounds are temperature sensitive, and decompose at the temperatures required for simple distillations; however, by using the properties of immiscible, or unmixable, liquids, distillation can be performed at much lower temperatures. Steam distillation is performed by bubbling hot steam through the mixture to be distilled, and collecting the vapor that results. Using steam to heat the mixture ensures that the temperature of the compounds does not exceed 100 degrees. The collected vapor is then condensed, and the resulting fluid consists of a layer of water and a layer of the compound being distilled. These compounds are separate due to the properties of immiscible liquids, and can be physically separated by decanting or the use of a separation funnel. Steam distillation is used to separate temperature-sensitive organic compounds such as aromatic substances. It can be used to extract oils from natural products, such as eucalyptus oil, citrus oils, or other natural substances derived from organic matter. For this reason, steam distillation is largely used in perfume and cologne production, as well as the production of some cooking materials. Trubiano, Crispin. "Steam Distillation vs. Simple Distillation." Sciencing, https://sciencing.com/steam-distillation-vs-simple-distillation-8407975.html. 30 April 2018.